You are currently browsing the category archive for the ‘book sales’ category. so many wonderful choices at your local farmers market! Local Harvest.org has a search tool that you can use for farmers’ market information in any state. Pick Your Own.org provides countrywide information about pick-your-own farms and orchards. If you are in the Glastonbury, Connecticut area, check out Glastonbury Grown for local farms and places to pick your own. 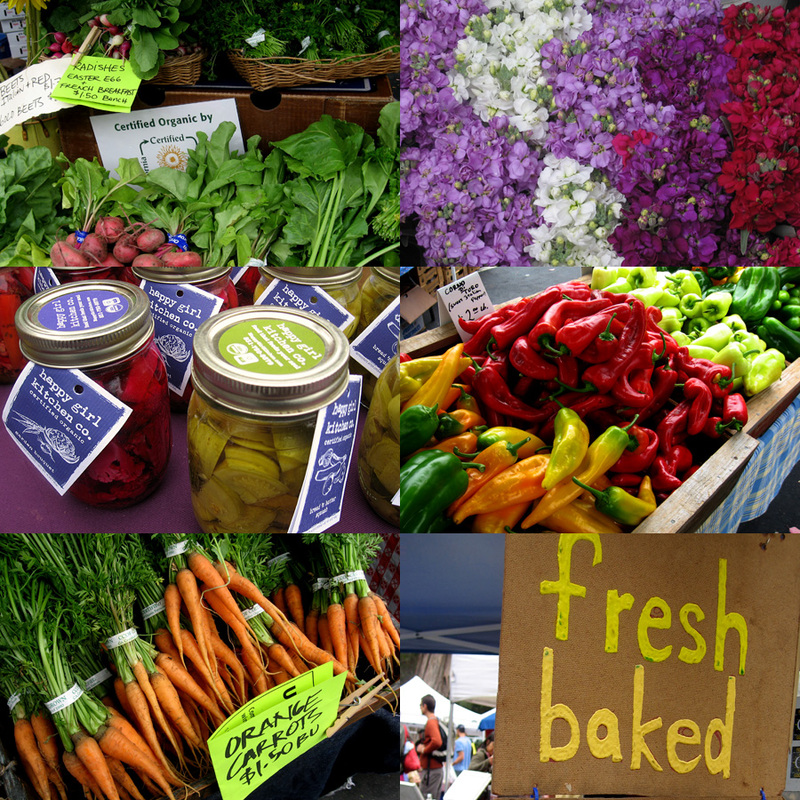 Visiting a farmers’ market is a fun outing — think way beyond a trip to the grocery. Besides offering a tremendous variety of fresh produce, most markets also have vendors selling local baked goods, flowers, dairy products, meat, crafts, freshly made jams, jellies, pickles, relishes, and more. Many have food vendors where you can get a tasty lunch, fresh beverage, or yummy dessert treat. If somehow you aren’t interested in the food, come for the entertainment and demonstrations. There are often local musicians, chefs, entertainers, authors, yoga instructors — you name it — with free programs to educate and/or entertain. For those of you in central Connecticut, I’ll be at the Glastonbury Farmers’ Market this coming Saturday (August 10) from 10:00 a.m. to 1:00 p.m. doing canning demonstrations and book signing. Pardon the soap box, but I just have to put in a plug for eating sustainably! Supporting our local farms and orchards is a win-win situation. You get the best and the freshest that nature can offer. 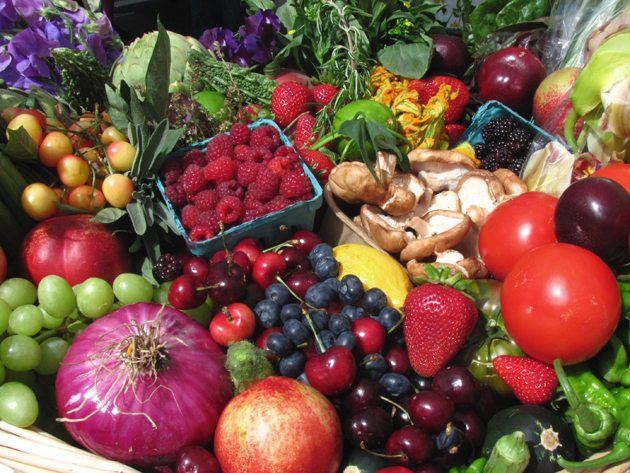 Fruits and vegetables begin to lose their nutritional value the minute they leave the vine. 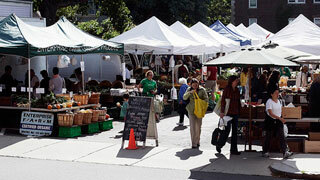 Produce that you buy at farmers’ markets and local farm stands have likely been picked that morning. When you buy local, you are reducing the carbon footprint of our food production system. While some large grocery chains boast produce from exotic places, there’s a lot of carbon involved in transporting — plus the fruits and veggies lose their nutrients along the way. When we buy local, we help to ensure that our farmers can stay in business and continue to grow healthy food for our tables.